Many authors report racial and ethnic disparities in total joint arthroplasty. The extent and implications, however, are not fully understood. Our purposes in this breakout session were to (1) define “Where are we now?”; (2) outline “Where do we need to go?”; and (3) generate a plan for “How do we get there?” in addressing issues of racial disparity and total joint arthroplasty. Blacks and some other ethnic minorities have a greater incidence of arthritis and chronic disability than the population in general. 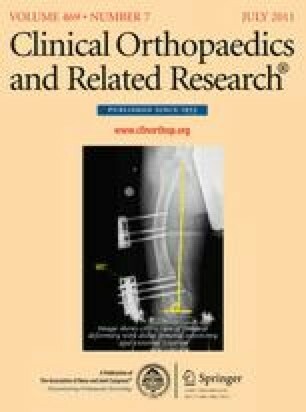 Blacks have a lower use of total joint arthroplasty for a variety of reasons, including patient trust, perceived limited satisfaction with results by peers, varying knowledge about total joint arthroplasty, and concerns about pain associated with these procedures. Current data, however, are insufficient to clearly define the magnitude and nature of musculoskeletal disparities. We need to better define the magnitude and nature of racial disparities to best design and implement research questions and studies and target areas for improvement. We should define geographic and provider variation that lead to the differences in use that has been observed in total joint arthroplasty. A profession-wide emphasis and focus on disparities needs to be developed with other medical specialties and national organizations to advocate for changes to better define and address racial disparities. Partnerships with organizations and/or investigators that can gain access to relevant databases should be encouraged. Special attention to disparities and manuscript reviewing and editing is essential. One or more of the authors (RCM) is a paid consultant for Zimmer (MIO).